Future First Time Home Buyer Coming Through! 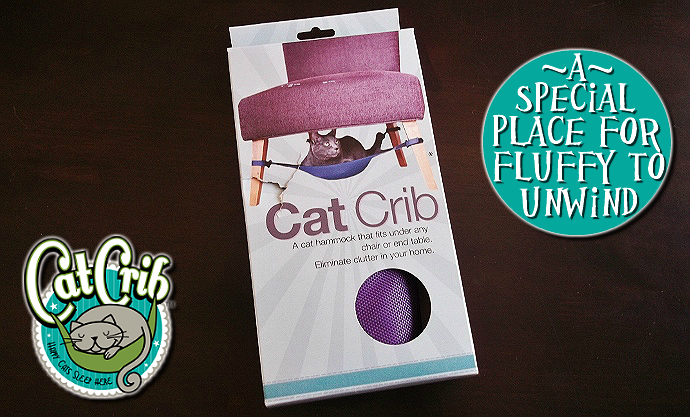 ***I received a sample product from Cat Crib to facilitate my review. 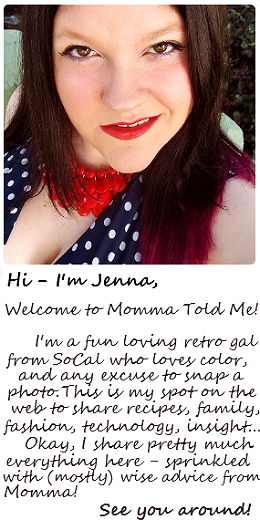 Regardless, all opinions are original and all images contained there in are property of Momma Told Me Blog 2013. Momma Told Me: Who's home is this, yours or the cat's? It has been a while since my last pet post, and for that, I am sorry. The intent has been to keep pet content to the Pet Blog, Time Out For Truffles, but the first half of this year has sufficiently kicked my blogger bum. 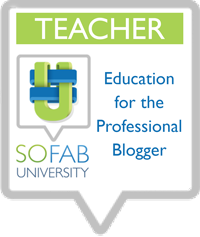 In any case, I am happy to report I have resumed regular blogging on the Pet Blog, and all interested in such content should subscribe now for 3-4 pet related posts a week. 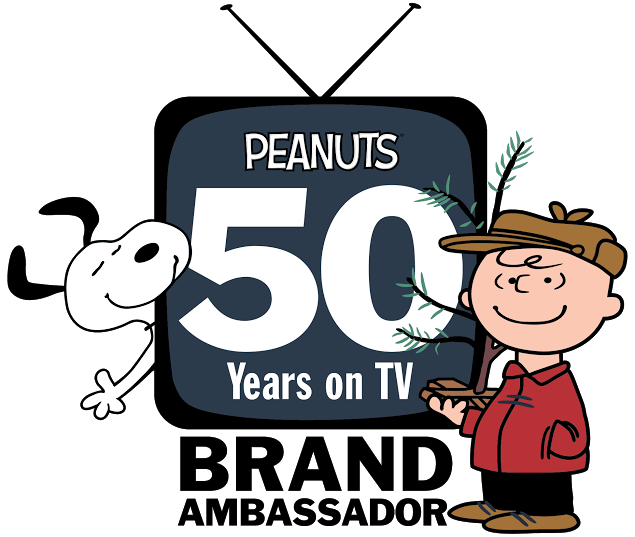 Now, on to today's foray into animal merchandising. Any feline owner knows that one does not simply own a cat; the cat owns you. 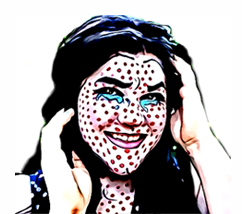 Try to argue otherwise, but when we really take a look at this human to feline relationship it's astounding there aren't more 'Crazy Cat Ladies.' At this very moment in time there is a fine layer of fur floating whimsically across my laptop keypad, and a catnip mouse beneath my feet. Don't get me wrong, we love our pup just as much as the cat; but poor 5lb Nora is no match for our 4.8lb Tuxedo cat. No, I'm not talking turf wars, I'm referring to freedom and mobility. Felines have the prowess to scale the tallest furniture, and wriggle between the most unlikely of cracks. Some of you may recall a little post I did a month or so back about the strange pet sightings we've had in our home. The very first day we moved in I found Ms. Truffles sitting atop the kitchen counter alongside a pot. Some things are simply inevitable in our home. If there is an open box on the floor, there will be a cat in it. If you leave your laptop open long enough, without your hands at work, there will be a cat on the keyboard (and sometimes while you're typing too). And if Momma, me in this case, has a favorite spot to sit or relax, Truffles will curl up to replace her in her absence. For a while, and still from time to time, Truffles treated our printer as a daybed, lounging with all fours flailing off the sides, lazily staring out the window. The obvious solution would be to provide the cat her own designated space to look out the window; unfortunately for us, the printer is located directly next to a quite expensive cat tree. Much like toddlers, however, cats don't want what they are given; they are much too independent to be told where they should lounge! Seating is fairly limited in our 2 bedroom condo, which makes me glad to know that Truffles will sufficiently lounge wherever. Unfortunately, when anyone takes interest in the dining room table, she immediately has to be amidst the action, and sitting on one of our four dining chairs. When I am home Truffles is usually not far away, and this can become a problem when guests arrive. I'm embarrassed to admit our furry kids have almost as much furniture as the humans, and I simply cannot invest more space for them. So, when I discovered the space saving Cat Crib I instantly wanted one for our home. 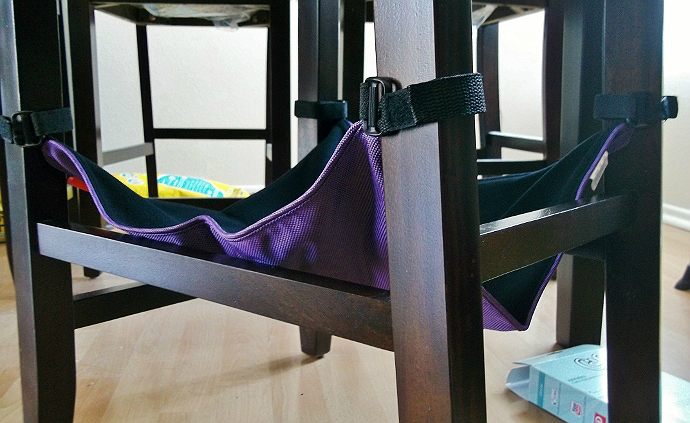 This unique hammock of sorts is affordable and discreet, fitting under nearly any chair or side table (anything with 4 legs). 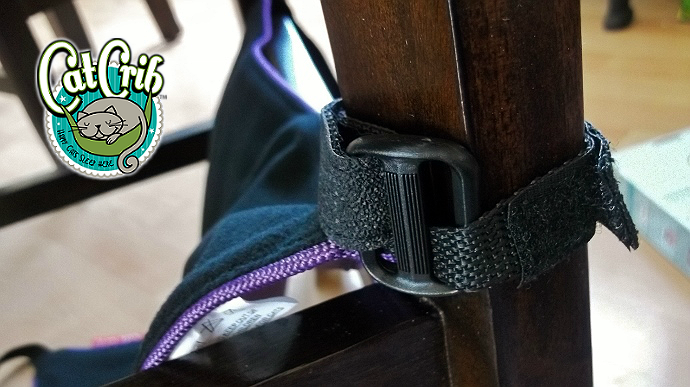 It attaches with 4 grip lined straps that feed through buckles and Velcro to secure around each leg of your table/chair. Cats, finicky creatures by nature, tend to need small 'safe' spaces they can lounge in, while feeling safe. 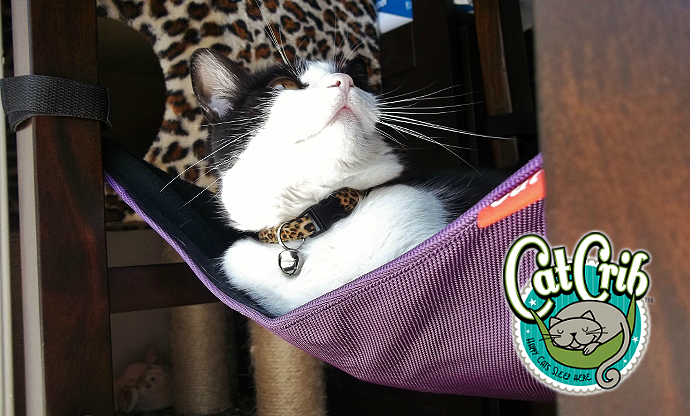 The hammock space can be adjusted to provide optimal privacy and support for any feline, and is entirely fuss free- it's machine washable! 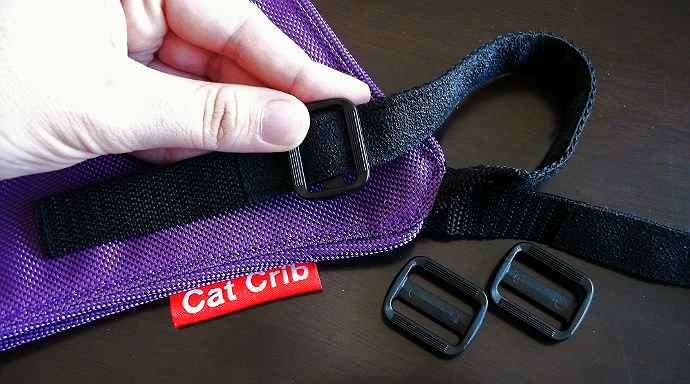 The exterior of the Cat Crib is a tough and easy to clean Nylon material that comes in an assortment of design friendly colors, with a black fleece lining for comfort. Upon unpacking I immediately knew I wanted to place the Cat Crib under one of our dining chairs, though the chair base is more of a trapezoid than uniform square, and the chair's rungs are at varied heights. At first the straps kept slipping, until I realized I was not placing the buckle on the outer rim of the chair leg, and one of the straps was inside out (the rubber grip should be hugging your chair's leg). Truffles is just under 5lbs, as an adult, and on the small side of felines, so I knew instantly I needed to reread the directions when the Cat Crib was slipping with a 5lb cat! Once all of that was sorted (installation is a breeze if you read the directions properly), I knew my next chore would be gaining Truffle's interest. It's not easy guiding a cat to a new lounging location when they already have so many awesome favorites! To introduce Truffles to the Cat Crib I placed the dining room chair by her favorite bird watching window (the porch), and slinked back into the shadows to watch. It didn't take long for her to begin sniffing and marking (rubbing her whiskers) the chair and Cat Crib, though she was hesitant at first. 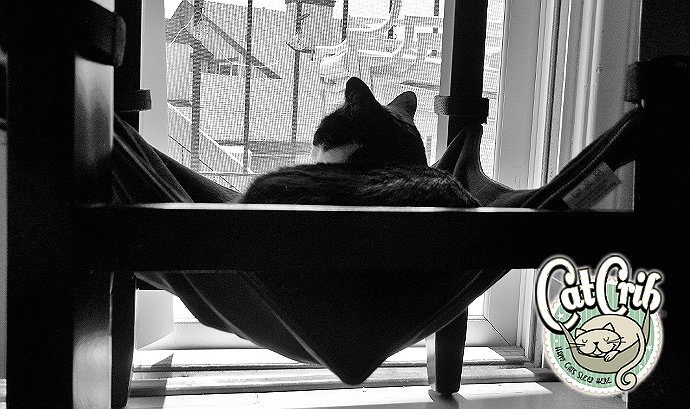 After a good 10 minutes of 'will she or won't she' Truffles hopped into the suspended cat hammock. She didn't waste time sprawling out in approval, her tail swaying in content over the edge. A few times I saw her eyes grow heavy, and her head dangle sleepily over the side, a cheesy "I'm chasing mice in my head" grin on her face. In all, we're very pleased with the construction and durability of this pet furniture. It's virtually undetectable with the chair pushed into our dining area, and provides Truffles a safe and quiet place to retreat when guests come over and the house get's hectic. Now, if only we could keep the dog from climbing in it! 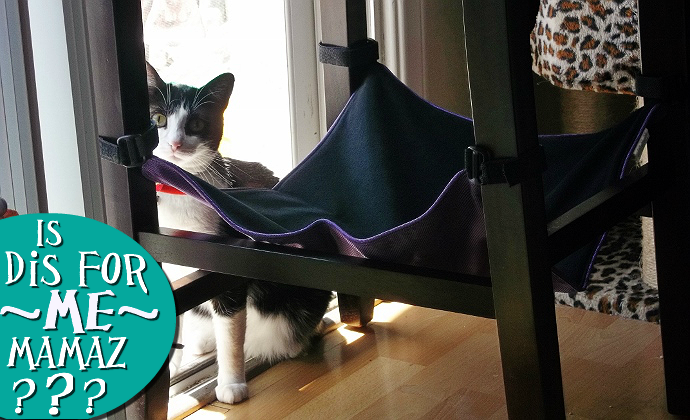 What Daughter Says: Reclaim your space and keep your feline happy with the Cat Crib. One Momma Told Me follower will win a Cat Crib in their color of choice! I would choose the tan. Neutral would be the one I want! That is so cute. I am going to tell my sister-in-law who has 2 cats. Black. Your kitty looks like my Harry. OH my goodness! I need this! My cat is all over my kitchen chairs and I hate the cat hair everywhere! If I had this, he would finally leave my chairs alone!! I'd want black. my kitties would love this... I would get the black one. I'd pick neutral. Too bad no leopard spots for my Bengals! Oh won't my cats go nuts over this a quiet space to sleep on their own, I asked my cats and they fought over black or neutral (I have a black and a tan cat) so I picked Purple..teach them to fight, thank you.. I'd love black or purple. It would match the decor in my living room and my cats are grey and black. I would love one or two in neutral. I'd want the black one, it'd blend into the shadows and match pretty much any decor. Nova would LOVE one of these, but it won't work with my current dining chairs (they have a cross-bar underneath), so I'd have to figure out where to put one. I like the Cat Crib - Neutral. This is a great idea! I'd love to have the neutral (brown) one, since it would fit in any decor. Black would go best with our chairs. I would pick black so it would blend in with my chairs. The neutral would match my kitchen the best. My two big boys are black so I would select this color so they could blend right in. I would pick the neutral one. I think Tilly would like the purple one. I would choose the neutral. I LOVE the Purple - but I think either the the Neutral or the Black (depending on which cat and which room!) would work best. Thank! Oh, my! What a great product! :p I think I'd choose black since it matches Dante and Dimitri's fur, haha. I would choose the neutral color. I'd pick the neutral color. Thanks! If I won I would choose purple. Thank you for the chance to win!